Directed by J Blakeson, with a screenplay by Susannah Grant and Akiva Goldsman & Jeff Pinkner, the film is based on the novel by Rick Yancey. J Blakeson (Director) first caught the attention of Hollywood in 2009 with the taut crime thriller The Disappearance of Alice Creed, which he wrote and directed. For that film, Blakeson was nominated for Breakthrough British Filmmaker by the London Critics Circle Film Awards, and in the United States named as one of Variety’s 10 directors to watch in 2010. As a writer and director, Blakeson has a number of films in development in Hollywood. In the story, our home comes under attack in very realistic ways – earthquake, electromagnetic pulse, disease – that resemble the very real fears many of us face every day. “It’s hard to put this book down once you start reading,” says Tobey Maguire, who produces the film with Graham King, Matthew Plouffe, and Lynn Harris. Susannah Grant (Screenplay) wrote the screenplays for Erin Brockovich, and wrote or co-wrote the screenplays for Ever After: A Cinderella Story, 28 Days, Pocahontas, The Soloist, In Her Shoes and Charlotte’s Web, and wrote and directed Catch and Release starring Jennifer Garner. For television, Grant worked as a producer and writer of the Fox drama series Party of Five, she created and executive produced the CBS series A Gifted Man, and she is also the writer and executive producer of HBO’s upcoming Confirmation about the Anita Hill/Clarence Thomas hearings. Born in New York City, Grant is an alumna of Amherst College and the American Film Institute, Grant received the Academy of Motion Pictures Arts and Sciences’ Nicholl Fellowship in screenwriting. In 2011, Grant received the Valentine Davies Award from the Writers Guild of America (WGA). In 2013, she was a guest speaker as part of the BAFTA and BFI Screenwriters’ Lecture Series. Up-and-coming director J Blakeson, whose first film was the thriller The Disappearance of Alice Creed, a film festival and critical favorite, takes the helm of The 5th Wave. 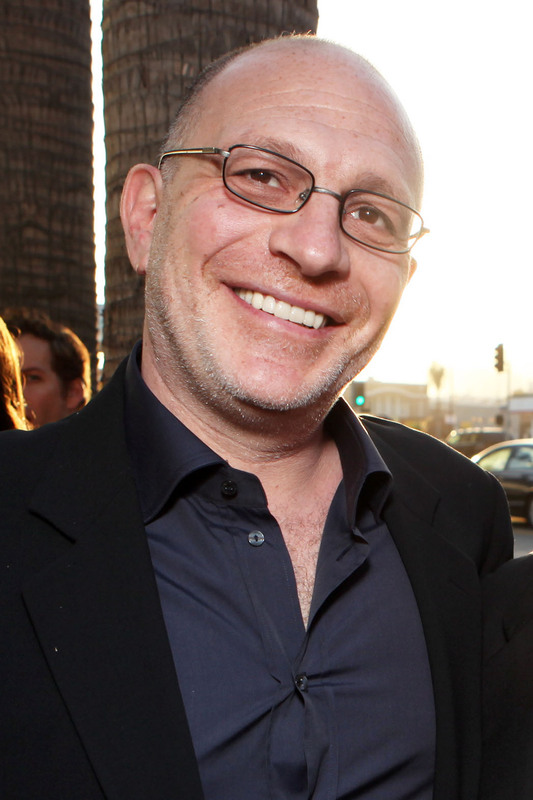 Akiva Goldsman (Screenplay) was raised in Brooklyn Heights, New York. He received his bachelor’s degree from Wesleyan University and attended the graduate fiction writing program at New York University. His feature writing credits include The Client, Batman Forever, A Time To Kill, Practical Magic, I, Robot, Cinderella Man, I Am Legend, The Da Vinci Code, Angels And Demons, Insurgent, and A Beautiful Mind, for which he won an Academy Award, Golden Globe, and Writers Guild of America (WGA) Award. 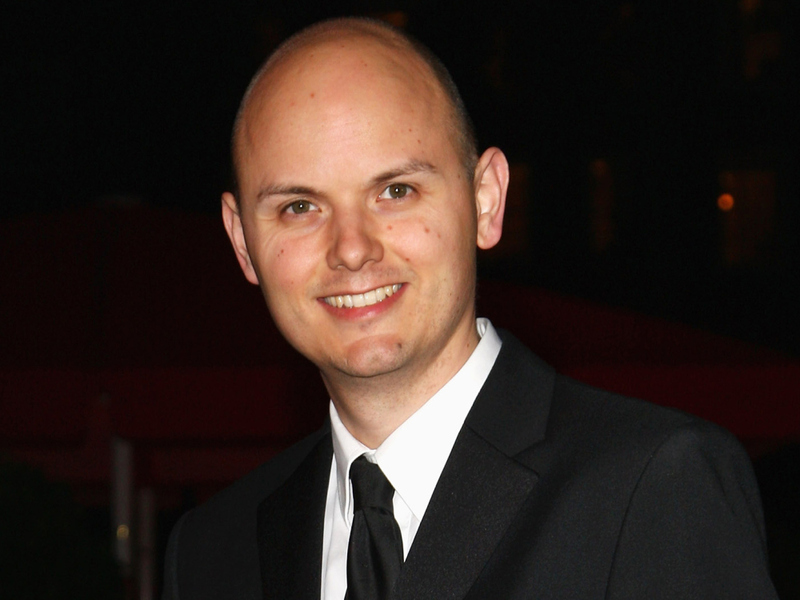 Goldsman has produced Deep Blue Sea, Constantine, Mr. & Mrs. Smith, Hancock, Fair Game, and Lone Survivor, and the upcoming Knights of the Roundtable: King Arthur, which will be released in 2016. He served as executive producer on Paranormal Activity 2, 3, and 4 and worked as a consulting producer on the television show “Fringe” for which he directed and co-wrote episodes. Goldsman’s feature directorial debut, Winter’s Tale, was released in February 2014. He most recently directed the drama fantasy horror film Stephanie, which will be released by Universal in 2016. One reason for the book’s popularity is the way that it crosses over from young adult fiction to adult fiction, and from sci-fi to general fiction. 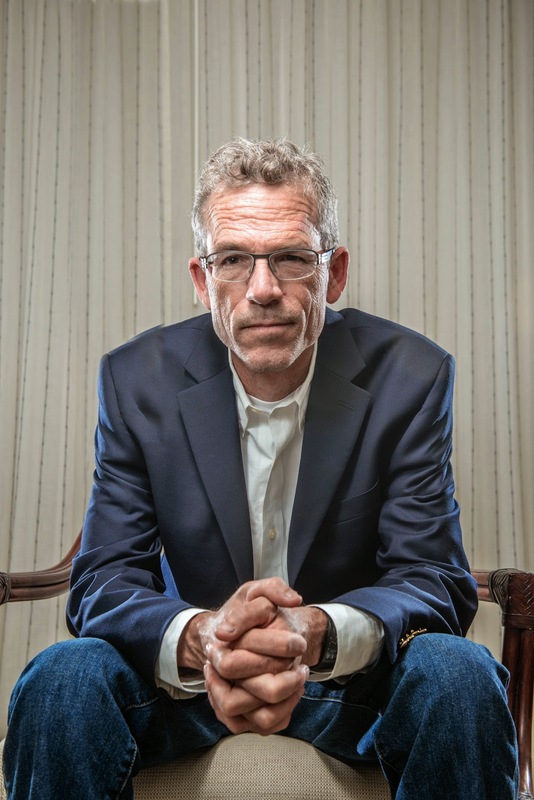 The book’s author, Rick Yancey, says that the book focuses on the universal themes that we all face. “All my books, not just The 5th Wave, have to do with what makes us human,” comments author Rick Yancey. Jeff Pinkner (Screenplay) graduated Northwestern in 1987 and Harvard Law School in 1990. He spent five years writing for J.J. Abrams’ hit ABC spy series Alias, where he eventually served as executive producer and showrunner. He helped create — and then in 2006 and 2007 worked as an executive producer on — the Emmy and Golden Globe winning ABC series Lost. In 2008, Pinkner began developing the FOX science fiction series Fringe. 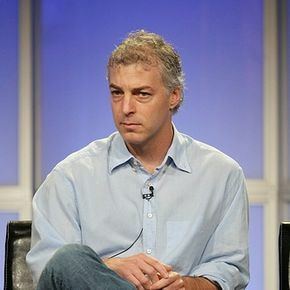 He served as co-showrunner, executive producer, and writer through the show’s fourth season. Most recently, Pinker wrote Columbia Pictures’ The Amazing Spider-Man 2 with Roberto Orci and Alex Kurtzman. Currently, Pinkner remains active in both features and television. He is co-writing The Dark Tower with Akiva Goldsman, based on the series of novels by Stephen King, and is also executive producing Zoo on CBS. Plouffe says that he knew that The 5th Wave was not going to be your usual alien invasion story from the very first page. “Rick opens the book with a quote from Stephen Hawking about how if aliens come to Earth, it’ll be much like Christopher Columbus discovering America, which didn’t turn out very well for the Native Americans,” Plouffe recalls. “With that, I knew from the beginning that there was something a little different about this. It felt sophisticated and knowing from the get-go.”At the heart of the story are the questions anyone faces as they make the transition to adulthood – not least of which is who can I trust? “In the movie, just like in real life, you can’t tell if someone is good or bad just by looking at them,” observes Blakeson. Rick Yancey discussed writing the series, his opinions on the adaptation, and his excitement about the release of the film. What is the one thing you hope to see come out of this movie adaptation? The one thing that I hope to see? Oh gosh, I don’t know you know I haven’t seen it yet, but I was there for some of the filming, and from what I have seen, I’m very encouraged. I think the filmmakers were very cognizant of the fact that what really sets this story apart is the heart of it, and the characters and what drives them as ordinary people in just extraordinary circumstances. That’s the kind of story I love to read and to see on film, and, you know, I think they worked really hard to capture the essence of that. As an author, what did you think of the process of adaptation? Were you privy to it, was there any trepidation you had moving your book from a novel to the big screen…was there anything you were surprised by? That’s a great question. I think I was probably luckier than a lot of writers who have their original work adapted…the rights to the film were picked up even before I finished the book. They were picked up shortly after the book was purchased by penguin publishing, and I had meetings very early on with executives and producers and also had some interaction with the screenwriters, so I was in that process pretty much from the very beginning. Although I did not have a hand in adapting my work, which is probably a good idea, because movies are not books and books are not movies, and there are demands that are narratively possible in books and not in movies and vice versa and I always try to keep that in mind as we move through the process. But, the short answer is I was pretty involved. I wasn’t there on a daily basis because I was working on another book at the time, but the days I was there I had regular talks with the producers and the director. From what I have seen, I think that fans of the book will be very pleased how the filmmakers have captured those core stories and how they built the characters. What was the deeper message you were trying to get across from the book at first and what do you hope to achieve from the movie and what kind of message do you want the movie’s audience to achieve? Oh wow, especially when you write for young people you have to be careful about the whole message thing, because nobody likes to be preached at, especially young people. Message is something that I kind of let grow organically as the story goes. My first goal is to never bore people. As a writer particularly in this genre, your major goal is always to entertain; you can tell a deep story and have a very reverberating message, but it better be that the story comes first and that’s what I always focus on. But, I will say, as I wrote this series and the last book is coming out in May, the story kind of unfolded for me as the writer. It goes beyond the message of “humans will do anything to survive and we are like cockroaches in the sense that we are indestructible.” That’s one of the reasons we triumphed over nature, but for me the deeper message is about the bonds that bind us together in the human family and that how, even an advanced species as presented in the books really has no answer for that in terms of engineering our own demise. I think that’s one of the positive messages of the story is that it’s very difficult to eradicate humanity out of humans. Just as tribalism and hatred and prejudice and bias exist in us, so do the opposite side of that coin, you know, love and the ability to sacrifice our own personal needs for somebody else which is remarkable and very hard to explain when you start talking about survival of the fittest and Darwinian concepts, the idea of altruism and sacrificing yourself for a greater cause. So I guess if there’s some kind of message in the story that would be it. 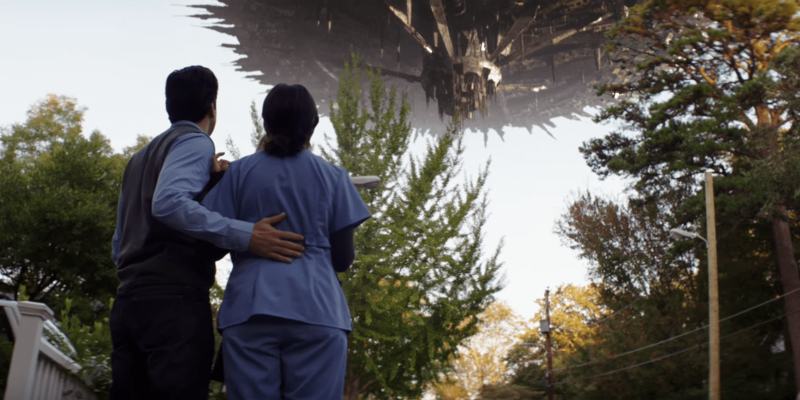 I just wanted to ask, as I think your story after having read the book is very unique, but I know a lot of young people are very familiar with this genre and with alien invasion, dystopian themes. What do you think sets apart your book and movie from the stories that have been told in the past, and what compelled you to write this way? I wouldn’t call it dystopian…there’s still society left, I think the alien invaders are staying but they’re not exactly setting up society. They’re doing the exact opposite, they’re actually trying to blow society apart. That’s one key difference to some of the dystopias that are out there. I think it’s an incredibly popular genre where there’s still room for exploration to take different aspects of the genre and to play with them. This story is unique in that it presents a worldwide phenomena that is happening but also very intimate and human at the same time. This is why it’s told through different points of view and narrowed in on a particular story, which, in the first book is Cassie trying to find her little brother. This makes it very human and very intimate and very real in that sense. I tried very hard not to go too far afield as some books in the genre will do–it really starts to strain believability that these characters are actually able to achieve what they are achieving. I try to always keep it grounded in what I love, which is a story where you have ordinary people in extraordinary circumstances. My litmus was “how would I react in a situation that there characters faced?” What would be my choices or my goals throughout this story, instead of just trying to give thrills for thrills sake. What was the second part of your question? Well I always loved science fiction, it was one of my very earliest loves. Some of the earliest science fiction writers like Arthur C. Clarke wrote in accessible ways for young people. They weren’t categorized as young adult books but they were certainly accessible to young readers. This was my influence when it came to science fiction. Modern stylistic choices that were made? I was always fascinated by books which were told from multiple points of view, because I thought it opened up so many possibilities structurally for books, and also because it kind of gives you a look through multiple eyeballs about a situation that it going on. A conscious choice that I made when I wrote these books was to tell the story not from some sort of omniscient point of view but actually really grounded inside the heads of different characters. Tobey Maguire said that your writing is wonderfully cinematic. How do you think that played a part in the production of this movie and just in having your vision and story told as true to the books as possible? I didn’t know that Tobey Maguire said that! Did he? That was nice! I have a background in visual arts –I was in the theatre when I was in high school and college, and a little bit beyond college as well. I did a little bit of writing for theatre, directing, acting, and then in my writing, I turned to script writing and was doing screenplays. I was fascinated by the whole medium of film and of course the theatre arts, so when I turned to prose, I tend to approach stories in a very visual, very visceral, sort of immediate way, which is why I suppose it’s most comfortable for me to write in first person. I just love writing in first person because you get to slip in and out of a character’s head and heart and skin. I think that’s directly owing to my background, my first loves of theatre and film. So that’s probably where he’s picking up on the fact that now when I write prose, it tends to be very visual sort of stuff. That’s what the cinema is, it’s very visual.